Bassist Peter Andersson states: "We are very happy that the collaboration with ROAR Records continues. This time with a newly signed multi-album deal and twelve new strong songs in the making. Together with ROAR we hope to take Mean Streak to the next level." 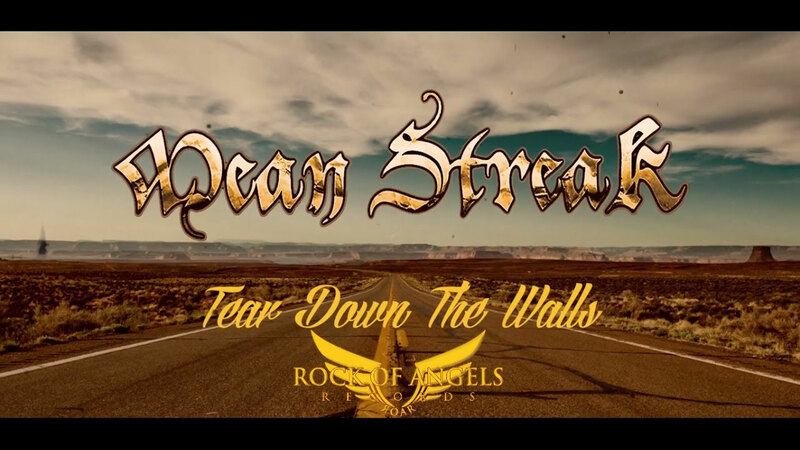 Swedish traditional heavy metal band, MEAN STREAK, have released a lyric video for 'Tear Down The Walls', the track is taken from their fourth album, Blind Faith, due out in Europe via ROAR Rock Of Angels Records on June 2rd, in Japan via Marquee/Avalon incl. one exclusive bonus track on May 31st and in USA via HighVolMusic on June 16th. The video can be viewed here. Swedish heavy metallers MEAN STREAK have released a digital single and music video for 'Caught In The Crossfire', the song is taken from the upcoming fourth full-lenght album 'Blind Faith', which will be released in Europe via ROAR Rock Of Angels Records on June 2rd, in Japan via Marquee/Avalon incl. one exclusive bonus track on May 31st and in USA via HighVolMusic on June 16th. Apart from the CD version, "Blind Faith" will be available on vinyl in Europe via ROAR Rock Of Angles Records on June 2.